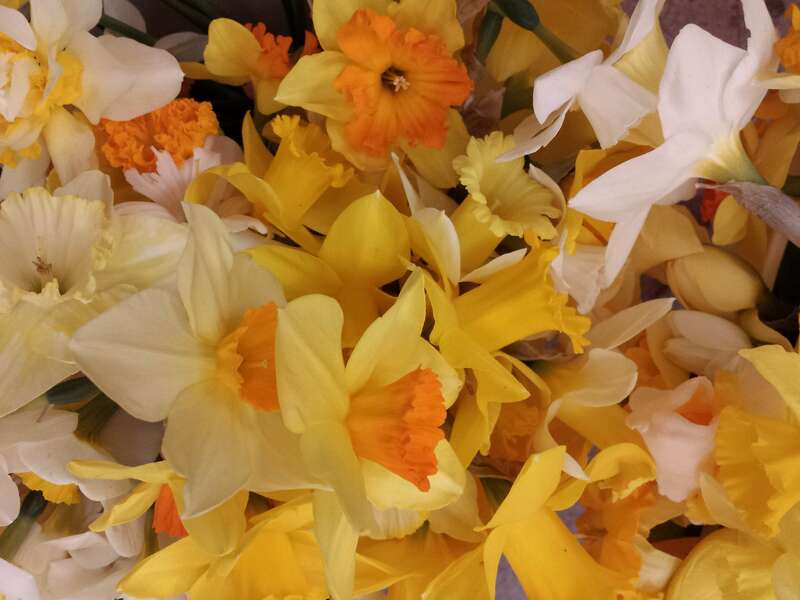 I always look forward to the explosion of one hundred different kinds of daffodils (yes!) we have planted in our field. They are sturdy, little miracles of subtle scents, whites, yellows, frills and bells. They announce love, no matter what. It’s a nice break to go outside, away from the intensive preparations for my composition Box | Grown Men Sing, which I’m performing – at last! – this month. In researching solitary confinement and the prison industrial complex I came across discussions and drawings connected to the mid-18th century English philosopher and social theorist, Jeremy Bentham. One illustration is a design for a building, in the shape of an elegant six-petalled flower, which looks like an eccentric arboretum for aristocrats, or maybe an Institute for Wizards. Its affectionate details remind me of those many TV documentaries, where one or another European Gentleman Scientist of the Enlightenment eagerly “discovers” and names everything from the “new” worlds. (And cue the sombre voice-over, whose tone implies that colonization is merely an “unfortunate” side-bob to said gentleman’s excursions). This drawing goes beyond its biological inspirations however, in that it’s a design for social control. It’s a plan for the Millbank Prison in London. Jeremy Bentham is known as the “father” of the panopticon, which is a design for public buildings (eg. a prison, hospital, library) that allows all parts of the interior to be surveilled from a single point, for social control. Bentham, like many of his well-heeled peers, worried about the unruly working classes. Easy surveillance would ease the aristocratic purse in controlling public hospitals, schools, workhouses, “lunatic asylums” and prisons. The panopticon was a “mill for grinding rogues honest”. “I will be the gaoler…the gaoler will have no salary—will cost nothing to the nation,” he proudly announced. As the guards could not be seen, they could be more absent while prisoners internalized their sense of always being watched. Bentham imagined the prisoners decreasing the cost of their imprisonment by walking on wheels to spin looms, or run a water wheel. His ideas became widely embraced. 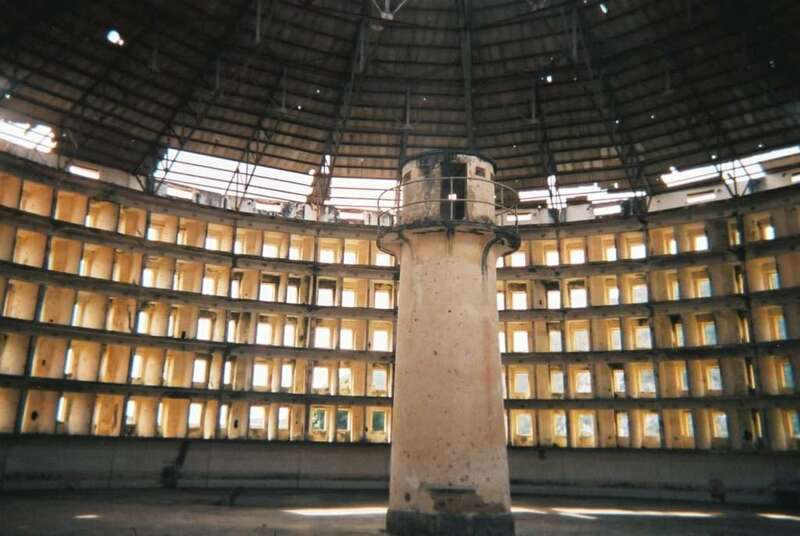 Literal examples of the panopticon exist like Cuba’s Presidio Modelo which held political dissidents, people identifying as LGBT, Jehovah’s Witnesses and counter-revolutionaries, with the population swelling to more than 6,000 inmates. World-wide industries drooled at the idea of a captive workforce that could be infinitely replaceable. German industries like Siemens, Farber and Krupp used prisoners in Auschwitz, and religious charities like the Magdalene Laundries in Ireland targeted poor women. The USA owes its national wealth to slavery and genocide. The vast American prison-industrial complex supplies Americans with jeans, coffee cups and car parts to name a few. I can imagine Bentham thinking of the flower as a symbol of spotless virtue. While he made reformist statements about freedom, women’s equality etc., his view was solipsistic. (And let’s be clear here, many intellectuals including women debated freedom and social reform, before and during his time, but many gentlemen had, shall we say, selective hearing). The Enlightenment wanted clean, lean mechanisms to produce order and calm, where messy human need could be erased. Poor people were to be useful, and cheerful about it; indigenous and enslaved people were to be useful, or obliterated; and European women were to be procreative and silent. In 2015 the social theorist, Simone Browne, wrote a book called Dark Matters: On the Surveillance of Blackness. She describes Bentham’s travel on a slave ship, Brookes, where he was drafting his Panopticon proposal, and argues that the structure of chattel slavery is embedded in his theories. Browne sees the plan of this slave ship (amongst many other cultural artifacts) as laying down the bones for the surveillance of blackness, which continues to be a social and political norm, including where the school-to-prison pipeline is getting worse for black and brown girls. Today’s surveillance is normalized through everyday technology, as is isolation in prisons, even though the horrific consequences are well documented, both in academic research and journalistic enquiry. In Box | Grown Men Sing, three men, Jerry Elster, Steven Czifra, and Danny Murillo, describe their struggle to remain human during solitary confinement, and the intense self-discipline it required. Their resistance to the system, and their reclamations of culture, saved their lives. Here’s a quote from Jerry at the end of the music, about his love for the flower, offering a tender vision of the future, if we nurture it.